Northeast Power Systems, Inc. (NEPSI) is pleased to announce its enhanced in-house testing capability with the addition of a 300 KV Impulse Test System that allows for design, production, and conformance testing of their medium-voltage metal-enclosed power capacitor banks and harmonic filter systems in accordance with ANSI/NEMA, IEC, CSA, and other national and international standards. 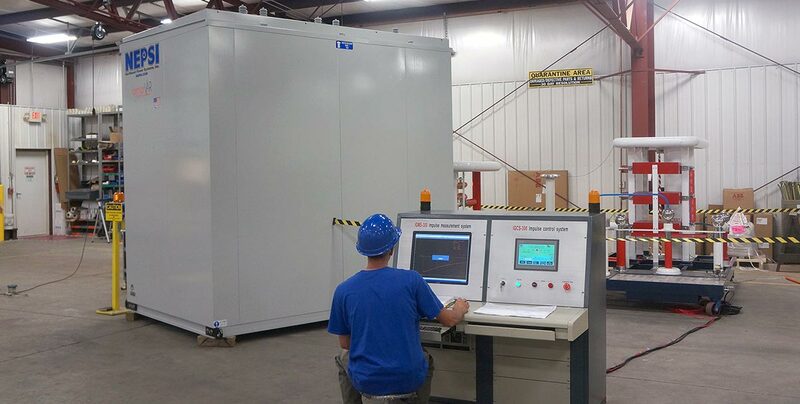 NEPSI, a custom equipment supplier, continues to lead the industry in building high quality, long-lasting, and reliable metal-enclosed reactive power compensations systems. “This latest addition to our testing capability is unmatched in the industry, and when it comes to certifying your equipment to an impulse or BIL level, nothing replaces the real thing,” says Frank Steciuk, executive officer at NEPSI. When you purchase a NEPSI system, you can be assured of its basic insulation level (BIL). Custom equipment suppliers regularly rate their impulse design level on component supplier test reports, strike distance, creepage distance, and power frequency withstand test. However, the basis of this design and rating strategy is not a reliable method, as assemblies behave differently than their individual component parts. For this reason, NEPSI identified this test equipment as a necessity in supporting their ISO 9001:2008 commitment to quality. In addition to testing full assemblies, NEPSI has already begun validating their component suppliers, another aspect of ensuring the highest quality product to their customer.